Erin Overstreet, Ph.D., serves as Interim Director of Licensing for the Office of Technology Commercialization at The University of Texas at Austin (UT Austin). In this role, she oversees the licensing team and the portfolios for physical, life and computer science technologies developed by UT Austin researchers. Dr. Overstreet leads the licensing team in assessing early stage technologies, identifying and defining market opportunities, fostering and advancing relationships, developing commercialization strategies, negotiating licensing agreements, and helping start up formation. Dr. Overstreet joined OTC in 2013 as a Licensing Specialist and then advanced to Program Director for Life Sciences where she oversaw a licensing team that manages life sciences technologies at UT Austin. Prior to joining OTC, she was a Licensing Officer at the University of California, San Francisco from 2007 through 2012, where she was responsible for the IP management and commercialization of a large portfolio of biomedical technologies including medical devices, therapeutics, and diagnostics. Prior to her work at University California San Francisco, Dr. Overstreet was a postdoc at UCLA, studying neurobiology. She holds a B.S. in microbiology and a Ph.D. in molecular biology from The University of Texas at Austin. 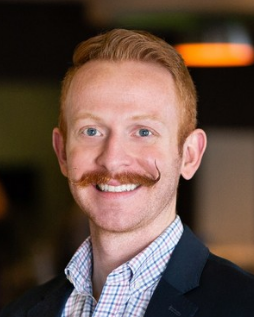 Daniel Hussey serves as a Technology Licensing Specialist in the Office of Technology Commercialization at The University of Texas at Austin. In this role, Mr. Hussey specializes in life science and biomedical technologies, where he evaluates commercial opportunities for inventions, supports the patent process, markets technologies to prospective licensees, negotiates intellectual property licenses, and provides support for faculty members who wish to form startups. Mr. Hussey has over six years of life science research experience as well as prior technology transfer and licensing experience at the University of Pennsylvania. He holds an M.S. in Biotechnology from the University of Pennsylvania and a B.S. in Biomedical Engineering from Drexel University. Chris Wohlgamuth, Ph.D., serves as a Senior Technology Licensing Specialist in the Office of Technology Commercialization. In this role, Dr. Wohlgamuth, specializes in physical sciences where he evaluates commercial opportunities for intellectual property, supports the patent process and strategy, markets technologies to prospective licensees, negotiates intellectual property licenses, and provides support to the inventors. Prior to joining The University of Texas at Austin, Dr. Wohlgamuth worked as a Licensing Analyst and then Technology Licensing Manager at The Ohio State University from 2014-2019, managing intellectual property matters in the College of Natural Sciences and the College of Engineering. He earned his Bachelor’s degree in Physics from The University of Texas at Austin, followed by his M.S. and Ph.D. in Physics from The University of Texas at Dallas.  Ms. Milda Saenz serves as Technology Licensing Specialist for Physical Sciences in the Office of Technology Commercialization at the University of Texas at Austin (OTC). In this role, Ms. Saenz conducts market research to identify companies who may have a need for advanced technologies disclosed to the OTC. Her responsibilities also include the commercial assessment of the University’s inventions and the identification of market opportunities. Ms. Saenz brings more than eight years of global technology transfer and business management experience to the Physical Sciences Licensing team. Prior to joining OTC, Ms. Saenz served as Intellectual Property Manager for Insight Center for Data Analytics, a big data research center comprised of four Irish universities. Previously, she served as a business analyst at Dell European Headquarters in Dublin, Ireland; overlooking business operations in the EMEA region, Asia, and the United States. Saenz holds two Masters Degrees in Law (LL.M) with the focus on Intellectual Property and Technology Law. 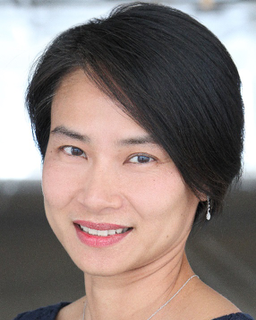 Yena Yoo serves as a Licensing Specialist in the Office of Technology Commercialization at The University of Texas at Austin. She works with faculty members to manage their intellectual property portfolios by evaluating the commercial potential of inventions, marketing technologies to prospective licensees, negotiating IP licenses, and enabling startup formation. Ms. Yoo brings over eight years of combined industry and research experience to her role. Prior to joining OTC, she was a business strategy consultant at IBM where she addressed the technology and data challenges of Global Fortune 15 Oil & Gas clients. Ms. Yoo specialized in business development, process improvement, and project management. She also has experience conducting research in both academic and corporate R&D settings. Ms. Yoo holds a B.S. in Biomedical Engineering from The University of Texas at Austin. Robert D. Villwock, Ph.D., serves as Software and Copyrights Licensing for the Office of Technology Commercialization at The University of Texas at Austin (UT Austin). In this role, Dr. Villwock is responsible for working with faculty members to manage their intellectual property portfolios by evaluating the commercial potential of inventions, marketing technologies to prospective licensees, negotiating IP licenses, and enabling startup formation. Dr. Villwock joined OTC in 2016 as Program Director – Strategic Researcher Liaison, where he focused on the facilitation of transfer of research into intellectual property. Previously, he served as Associate Director of the Center for Electrochemistry at UT Austin where he developed research funding from government, industry, and private sources, and facilitated researchers in the commercialization process. Prior to that, he was principal in his own consultancy specializing in chemical engineering, process development, and intellectual property management. He has held senior-level research positions in startups Golden Bear Ceramics and Mobius Technologies and has conducted product and process development for several different groups within Dow Chemical. Dr. Villwock is an inventor on nine U.S. Patents. He holds a B.S. in polymer science and engineering from Case Western Reserve University and a Ph.D. in chemical engineering from the University of California at Berkeley. 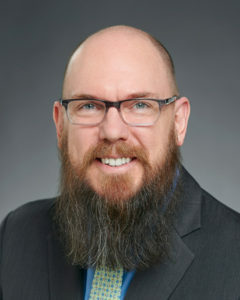 Van Truskett, Ph.D., serves as Director of Technology Innovation Development for the Office of Technology Commercialization at the University of Texas at Austin. In this role, Dr. Truskett brings her expertise in innovation and entrepreneurship to foster the commercialization of university-based discoveries and enable young startup companies to succeed. Dr. Truskett is a nationally recognized technology and business leader with over 14 years of technical, operations and strategic leadership experience. Dr. Truskett played a critical role in a team that raised capital and developed a startup, Molecular Imprints, Inc., a spinout from the University of Texas at Austin. The startup advanced into a successful enterprise that was acquired by Canon in 2014 to form Canon Nanotechnologies, the world’s market and technology leader for high-resolution, low cost-of-ownership nanoimprint lithography systems and solutions for the semiconductor industry.